Forget being bored while waiting at the airport, never look bad in a photo a gain and make your battery last longer. Travel apps can be lifesavers; whether you want a map app that you can use navigation without using any data, or you want to send the coolest postcards, there is an app for it. Strolling around in a new place and absorbing the sights can leave you totally and hopelessly lost, and if you haven’t got a data roaming solution in place then turning your data on to use the navigation on your phone could be pretty costly. This is where maps.me comes in; this app has a map of anywhere in the world that is available in high detail, with navigation – without having to connect to the internet. Take photos and record video then use the Magisto app to collate all your favourite ones, add music, pick a theme and ta-da you have your very own holiday mini movie to share with your friends and family. Like treasure hunts? Geocaching is a bit like that. Use the app to find hidden objects near you and swap those objects for things you have (optional). This cool app takes you to places you might have not otherwise experienced so it’s perfect to help you explore new places. Pocket is awesome! You can browse the web and then save web pages in the Pocket app so you can read them later. The great thing about Pocket is that you don’t have to have an internet connection to read the web pages that you have saved. This is great for saving useful articles and blog posts that you want to be able to read or refer back to at a later time. Rather than send a postcard that arrives home much later than you do, you can send a photo of yourself on holiday as a postcard. This easy to use app allows you to select any image from your camera’s gallery and personalise it with layouts your own message. What’s even better is that it’s posted either from the UK or the US so the delivery times are really fast. The Cheaper Calls app is a calling app that enables you to make free international calls as long as you and the person you want to call both have the Cheaper Calls app. You can also use this app to avoid roaming charges. Unlike other calling apps it compresses data (you will need 2G, 3G or Wi-Fi to make free calls) so you barely use any data to make calls, plus its available worldwide. If the other person doesn’t have the app or you don’t have a data connection you can still make calls if you add credit. Calls are the lowest rates you will find and you get 100 free minutes so you can test it for yourself for free! A must have for any camper visiting Australia or New Zealand! 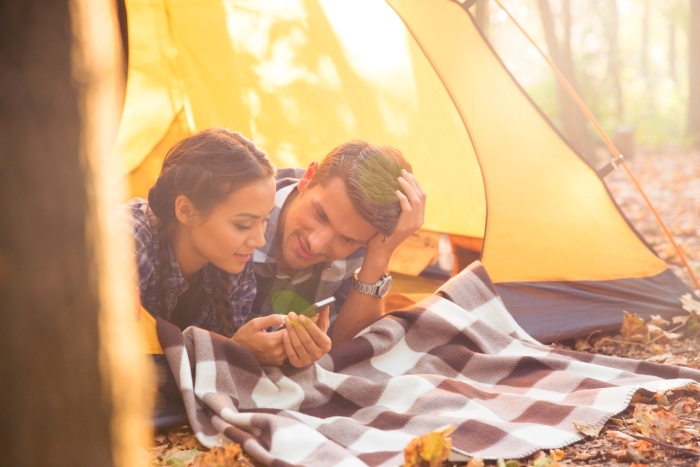 Campermate enables you find the locations both free and paid campsites, access tips from other travelers, find free WiFi, toilets, supermarkets, petrol stations etc. Very useful! Onavo compresses your data so you can browse the web and check your Facebook and get up to 5 times more using the same amount of data. This is ideal for travellers as it can stretch the cost of 1MB to give you as much as 5MB for the same cost with your provider. You can also measure how much data you use. We love this app as it makes you look amazing in photos! You can add filters and edit photos easily and also create some pretty cool effects. If you want to learn a bit of the language before you travel or even while you are away, this app teaches you the basics in a fun game like way. Learn to read, write and speak in one of many available languages so you can communicate easily when you are abroad. Running out of battery before you get to take that epic photo is so annoying! If you don’t have a powerbank or other type of portable power device you can download Juice Defender to increase your battery life by about 50%. Meaning you can take more photos and consult your travel apps without having to worry about your battery dying on you. 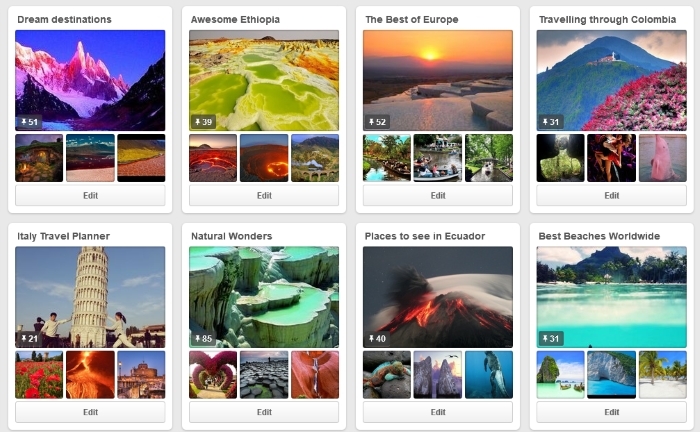 We love using Pinterest to plan our trips, you can pin photos of all the places you want to visit to a map so you know where you want to go (read this blog to see how to plan your trip with Pinterest). You can also share your favourite holiday snaps with your friends and family. Although this app is super simple, it’s a lifesaver! It turns your phone into a torch if you should need it so you can find your way back to your hotel if the destination you are staying at has a shortage of street lights. Get TV and movies on the go wherever you are as long as you have an internet connection. Perfect for while you are waiting around at the airport or on a long journey. Only use this app when you have free WiFi or using your global WiFi pass as streaming uses a lot of data, which could cost you a lot of money. This offline travel guide is packed with info including things to see and do, a phrase book, currency converter, information about events, culture and history, restaurants etc… the list goes on! You can save all the places you want to visit as a favourite which will then automatically be added to a map so you can better plan your day. Another simple app but useful to have as it contains all the types of emergency contacts you might need if the worst should happen while you are away. Numbers like hospitals and embassy’s for example. You will probably never need it but it’s nice to be on the safe side. Most of us take loads of photos when we travel, but if anything happened to your phone you could lose all of your lovely travel pics. If you download Dropbox you can ensure that all your photos are automatically backed up to Dropbox so they can be accessed from any device, anywhere.